de Groat, Diane. Very Good. Roses are Pink, Your Feet Really Stink (Gilbert the Opossum) by Groat, Diane De, 1998-01-29. Trade paperback (US). Picture book. Glued binding. 32 p. Contains: Illustrations. Intended for a juvenile audience. de Groat, Diane. Good. 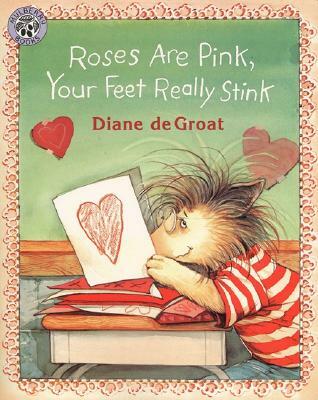 Roses are Pink, Your Feet Really Stink (Gilbert the Opossum) by Groat, Diane De, 1998-01-29. Trade paperback (US). Picture book. Glued binding. 32 p. Contains: Illustrations. Intended for a juvenile audience. Fair. 0688136044 Ships from Tennessee, usually the same or next day. Fine. Unread copy in near perfect condition.